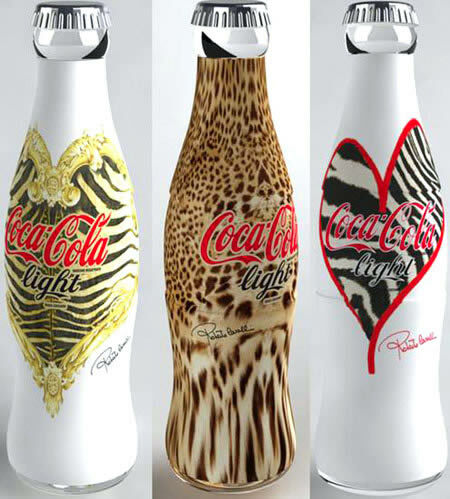 Coca-Cola Light collaborated with Roberto Cavalli in 2008 and created these gorgeous bottles. 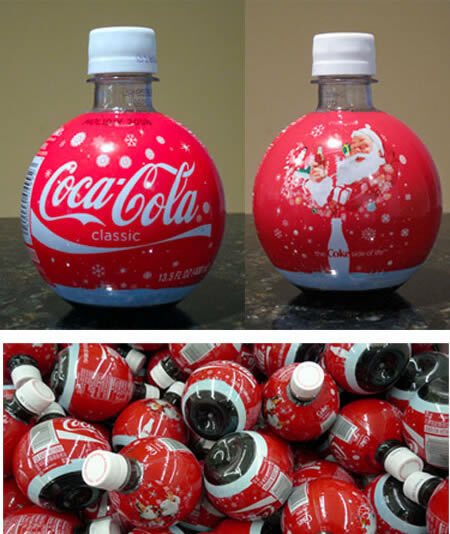 Creative package design from Coca-Cola for Christmas holiday in 2008, came with spherical shape different from the usual coke bottle. 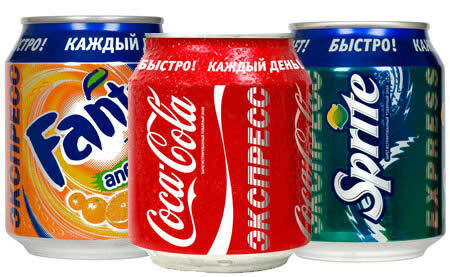 Coca-Cola Russia released iconic sodas Coke, Fanta, Sprite in small 8-ounce cans. 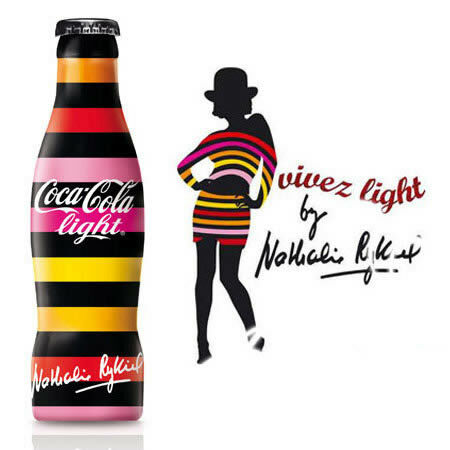 Coca-Cola bottles designed by Nathalie Rykiel, daughter of famous fashion designer Sonia Rykiel, in France 2008. 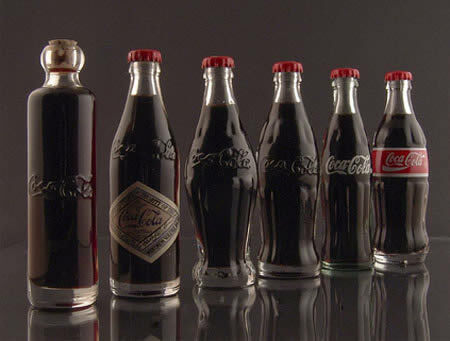 Coca-Cola celebrated their 100th anniversary by releasing this centenary bottle. The bottle was made exclusively for Selfridges, a popular London department store. 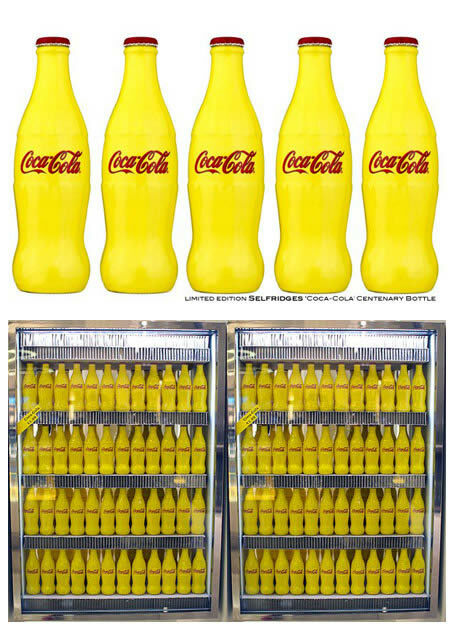 The centenary Coke bottle was made of glass with a bright shade of yellow, which is Selfridge's signature color. Coca-Cola was written in red, with a red cap. 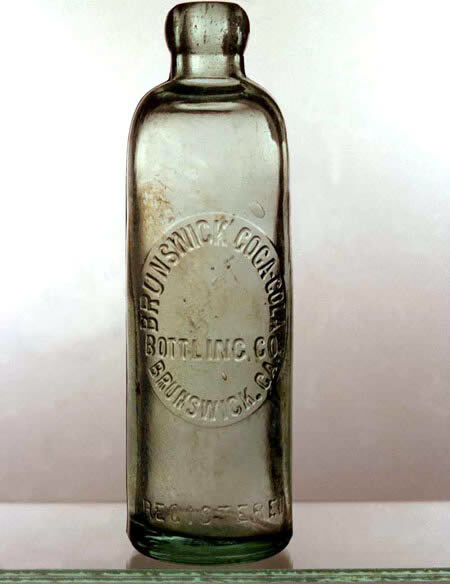 Early Coca-Cola bottle circa 1899 - referred to as Hutchinson style. Coca-Cola designed a bottle that keeps the inside drink chilled for a few minutes! The bottles also require different vending machine technology to regulate their temperature. 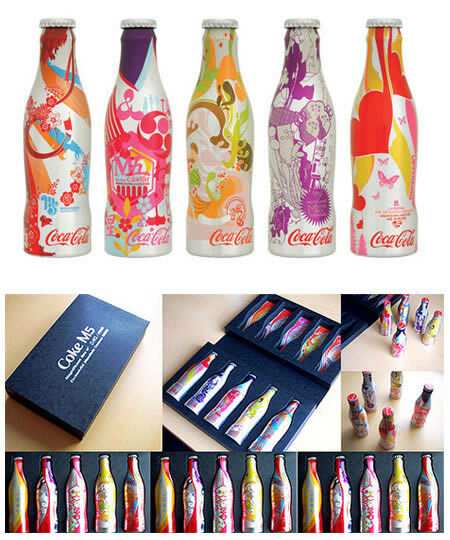 These are 8 different designs for the limited edition of Coke bottles for the summer campaign of 2009. 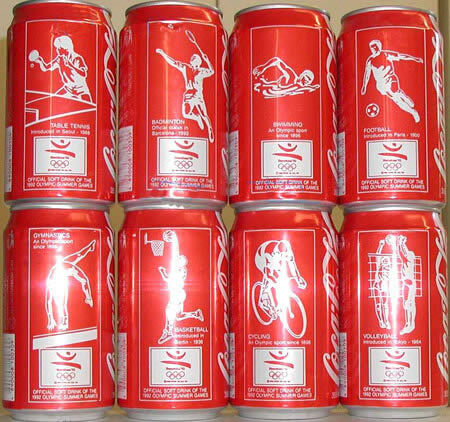 Coca-Cola Olympic Games Barcelona '92 cans designed with swimming, cycling, basketball, football, gymnastics, volleyball, badminton, table and tennis. The famous bottle is known for its contour design and was actually created in 1915, by glass bottle designer Earl R. Dean of the Root Glass Company. 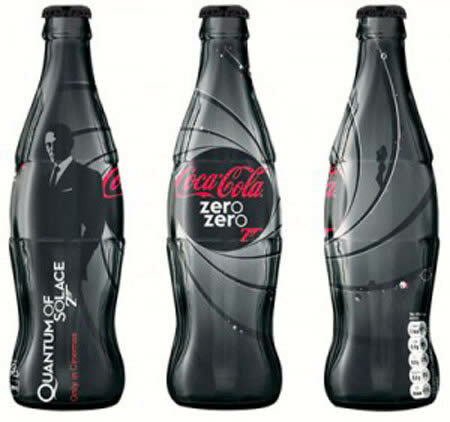 The Coca-Cola Company decided to have a competition on who could create the best bottle design. They wanted a design that could be easily recognizable, even in the dark or if broken. 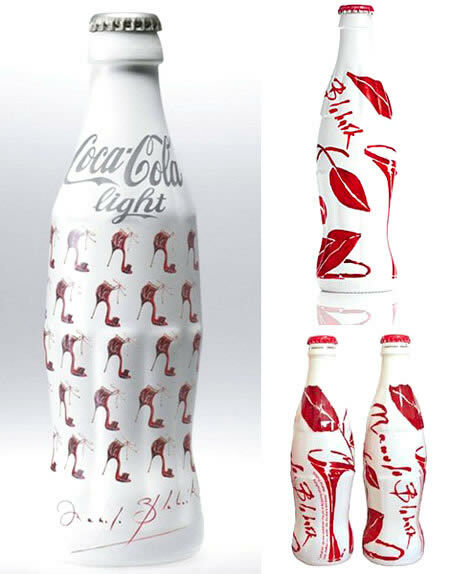 This is Manolo Blahnick's limited edition 2009 Coca-Cola Light bottle. The bottle pictured above was masterminded by graphic designer and curator Jiang Hua. 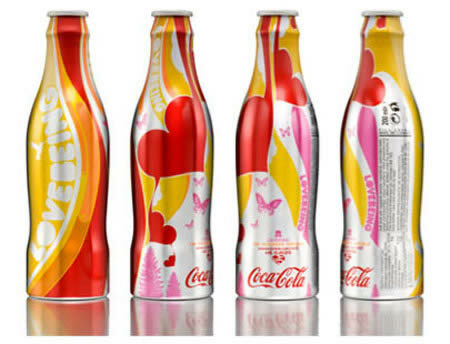 The horizontal red patterns are actually stylized Chinese characters for the word "Coca-Cola." Its soundtrack song, "Be It All," was written by singer-songwriter Jes, who says she was inspired by the maze-like quality of the bottle's design. 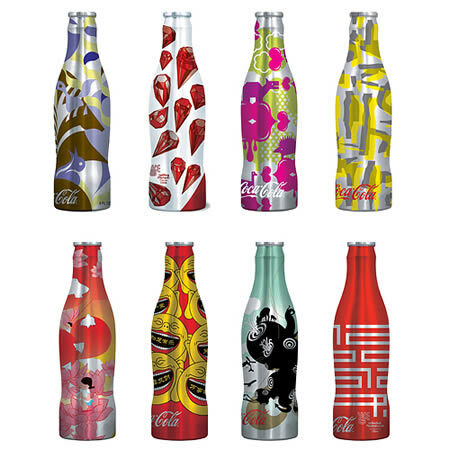 The brand launched five limited edition beachy coke cans designed for 2009 summer's: sunglasses, surfboards, grill, American flag and beach ball.